Overall:Rated: stars! Comfort: Rated:5 stars! Style: Rated:5 stars! 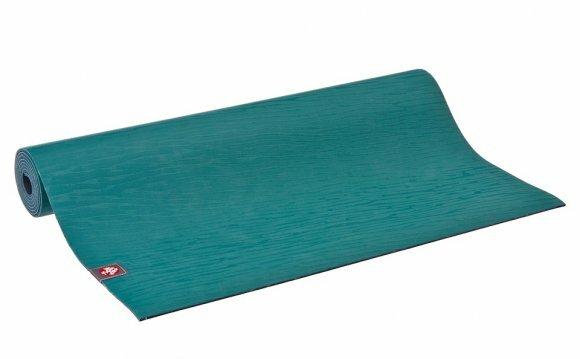 This Manduka eKO mat is fantastic! I was using multiple different mats bought from Target, Walmart, and Gaim online. All of those mat we great for beginning, however; my hands and feet started to slip in simple asanas like downward facing dog. Wheel pose was even harder! This mat was intriguing due to its different material. Although there is a rubber scent, the material is fantastic and I do not slip at all, even during hot yoga. I left the mat out in my garage overnight hanging on exercise equipment so both side aired out, and it was fine after a whole night. I am able to hold and correct my alignment in multiple asanas with out the fear of slipping, and fell a better grip than my other mats. Landing is nice a soft too. The only thing I do not like is that marks are left when moving your ligaments around. I would have white streaks during my session, but I guess that is just a personal preference. The mark vanish when wiped down.